Hope College strives to support faculty scholarship and student-faculty collaborative research. These programs support that endeavor. For information on training resources and approval processes (including CITI approval, Human Subject Review Board and Hope College Animal Care and Use) see the Training and Approval section of the website. A database and application software system (the SHARP Application System), which provides a common place for students to apply for summer research experiences. It also streamlines the logistic components of hosting summer research students by department office managers, human resources, campus safety and housing. Summer programming such as ethics training, ice cream socials and divisional opportunities to present research. Hope College is recognized not only for the extent and quality of undergraduate research, but also for our national leadership in promoting undergraduate research for student learning, personal development and successful outcomes. Hope faculty were among the founding members the Council of Undergraduate Research (CUR) in the 1980s. Hope College has an enhanced institutional membership to CUR, so every Hope faculty member in any division is eligible for free membership to CUR. CUR membership provides several benefits, as outlined on the Hope College CUR website. The Office of Research and Scholarship has several publications available to faculty and staff. Drop by Schaap 3107 or email the office program manager to borrow any of these titles. Behling, L. L. (Ed.). (2009). Reading, Writing, & Research: Undergraduate Students as Scholars in Literacy Studies. Washington, DC: Council on Undergraduate Research. Boyd, M. K. & Wesemann, J. L. (2009). Broadening Participation in Undergraduate Research: Fostering Excellence and Enhancing the Impact. Washington, DC: Council on Undergraduate Research. Hakim, T. M. (2000). How to Develop and Administer Institutional Undergraduate Research Programs. Washington, DC: Council on Undergraduate Research. Hensel, N. (Ed.). (2012). Characteristics of Excellence in Undergraduate Research (COEUR). Washington, DC: Council on Undergraduate Research. Hensel, N. H., & Paul, E. L. (Eds.). (2012). Faculty Support and Undergraduate Research: Innovations in Faculty Role Definition, Workload, and Reward. Washington, DC: Council on Undergraduate Research. Hope College Mellon Scholars Program Handbook. (2017). Holland, MI: Hope College. Karukstis, K. K., & Elgren, T. E. (Eds.). (2007). Developing & Sustaining a Research-Supportive Curriculum: A Compendium of Successful Practices. Washington, DC: Council on Undergraduate Research. Kinkead, J., & Blokus, L. (2012). Undergraduate Research Offices & Programs: Models & Practices. Washington, DC: Council on Undergraduate Research. Kinkead, J. (2010). Advancing Undergraduate Research: Marketing, Communications, and Fundraising. Washington, DC: Council on Undergraduate Research. Klos, N.Y., Shanahan, J. O., & Young, G. (Eds.). (2011). Creative Inquiry in the Arts & Humanities: Models of Undergraduate Research. Washington, DC: Council on Undergraduate Research. Lopatto, D. (2010). Science in Solution: The Impact of Undergraduate Research on Student Learning. Washington, DC: Council on Undergraduate Research, & Tucson, AZ: Research Corporation for Science Advancement. Vandermaas-Peeler, M., Miller, P.C., Moore, J.L. (Eds.). (2018). Excellence in Mentoring Undergraduate Research. Washington, DC: Council on Undergraduate Research. Temple, L., Sibley, T., & Orr, A. (2010). How to Mentor Undergraduate Researchers. Washington, DC: Council on Undergraduate Research. Greer, W. G., & Banks, R. E. (2016). The IACUC Administrator's Guide to Animal Program Management. Boca Raton, FL: CRC Press. National Research Council (2010). Guide for the Care and Use of Laboratory Animals (8th ed.). Washington, DC: The National Academies Press. Petrie, W. K. & Wallace, S. L. (Eds.). (2015). The Care and Feeding of an IACUC: The Organization and Management of an Institutional Animal Care and Use Committee. Boca Raton, FL: CRC Press. Silverman, J., Suckow, M., & Murthy, S. (Eds.). (2014). The IACUC Handbook (3rd ed.). Boca Raton, FL: CRC Press. van Heest, V. (ed.). (2009). A Century of Science Excellence at Hope College. Holland, MI: Hope College. 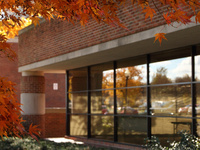 The library maintains faculty scholarship records. Information from the past few decades is available online. Each week of the summer different perspectives from across campus are presented on the intersection of faith and scholarship. Visit the Faith and Scholarship Discussion Series webpage for more information. Open to all students, faculty and staff at Hope College. For questions or suggestions contact the associate dean, Dr. William Polik.